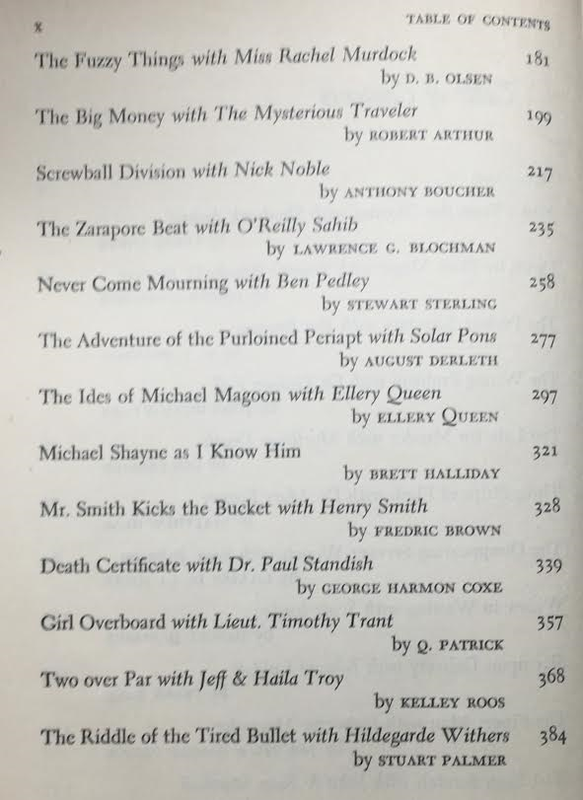 For years the Mystery Writers of America have been putting out an annual anthology usually with a theme of some sort. I'm not sure if this tradition is still being continued, but it certainly was a regular practice for the first ten or fifteen years of their existence. 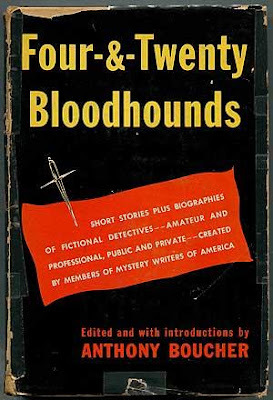 Four & Twenty Bloodhounds (1950) is one of the earliest collections, the third to be precise. From the clever title you might be able to figure out the theme. The book contains twenty-four stories each spotlighting a different series detective. They range from the very familiar (Ellery Queen, Gideon Fell, Hildegarde Withers) to those known only to diehard fans (Johnny Liddell, Merlini, Scott Jordan, Lt. Timothy Trant) to the utterly obscure (Nick Noble, Shadrack Arnold, Mortimer Death). 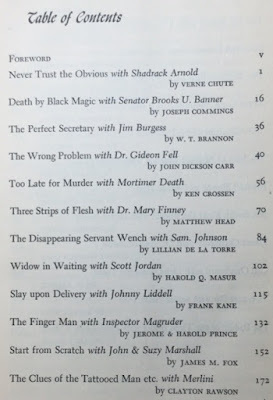 Each story is preceded by some background history on the writer, the detective or both, sometimes some intriguing publication history as well all provided by the genre's first real fan boy, Anthony Boucher who oversaw the collection as editor and mystery maven. This is one of the most varied and exciting mystery story anthologies I've ever come across. There are traditional detective stories, hardboiled pulp style thrillers, some suspense tales, and even two solve-it-yourself puzzles penned by Clayton Rawson and featuring the Great Merlini. The bulk of the stories were originally published in magazines between 1942-1947 with a few stories taken from short story collections like the Solar Pons tale which was first published in book format. 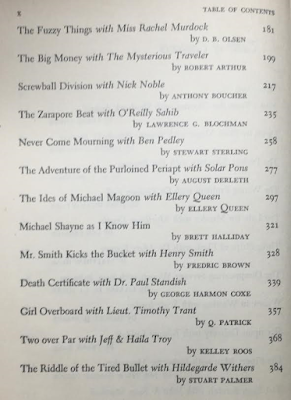 Some date back to the late 1930s and were pulled from pulp magazines like Lawrence Blochman's story, "The Zarapore Beat" about a NYC patrolman assigned as a bodyguard to a visiting Maharajah, pulled from a 1936 issue of Argosy. 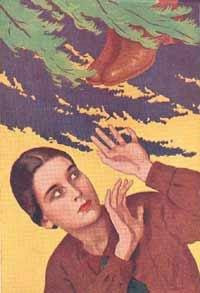 Only three pieces appear to be originally written for this volume: "Three Strips of Flesh", the only Mary Finney short story, actually just a rewrite of the novel Devil in the Bush (1945); "Girl Overboard" by Q. Patrick is the first appearance of a story that was rewritten to take place in a hotel rather than a ocean liner because (Boucher tells us in his intro) it apparently resembled a true crime case that was fresh in the headlines when Wheeler and Webb sent it off to a magazine publisher, here we get the original shipboard mystery; and "Michael Shayne as I Know Him", the only non-fiction piece in the book, by Brett Halliday who gives us the inside dope on how Shayne came into being. That last piece by Halliday is merely an elaboration on something that each author was asked to provide for the book. Following each story is a biographical sketch modeled after that registry of the elite, Who's Who. Each author was asked to provide their character's biographical details from birthplace to schooling, professional life to hobbies. 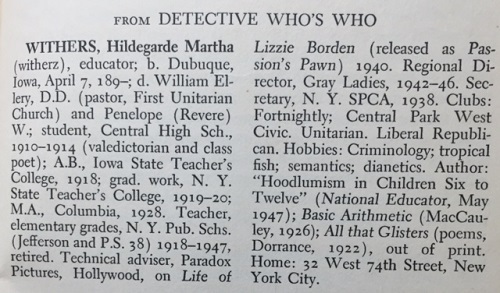 Boucher then took that data and wrote up listings as they would appear in a mythical book called The Detective Who's Who. I took a photo of Hildegarde Withers' entry as an illustration (see below) because it's one of the more amusing ones. Look under her hobbies. Dianetics! Who knew the old schoolmarm was a follower of L. Ron Hubbard's cult? I'm still reading this 400+ page anthology, one or two stories per day, so I can't really give you an overview of the best of the 24 stories. I liked the Solve-It-Yourself puzzles neither of which I figured out. Way too subtle for me, I guess. 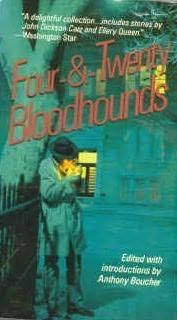 Four & Twenty Bloodhounds includes several other first appearances, too. Of those I'll highlight the only short story appearance in book format of Rachel Murdock whose debut was in the novel The Cat Saw Murder, the only appearance in a short story of The Mysterious Traveller ("The Big Money" by Robert A. Arthur) who was created for a radio series; and a rare short story --a prizewinner in EQMM no less-- featuring Jeff and Haila Troy ("Two over Par" by Kelley Roos, set at a golf country club), one of the married couple sleuthing teams whose adventures are worth reading. Lots of detectives who I had never heard of turn up in these pages. 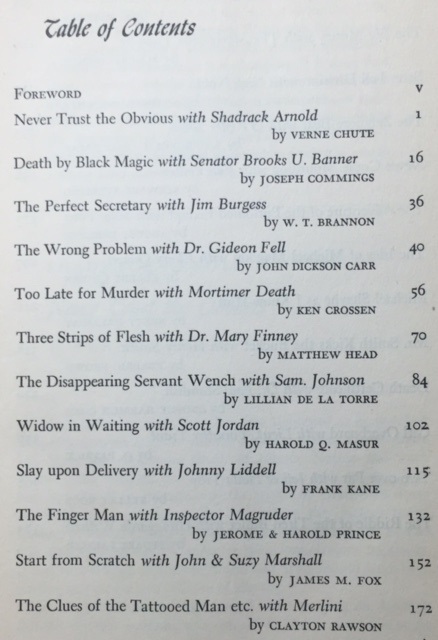 Among them are Ken Crossen's Mortimer Death, aptly enough a mortician turned amateur sleuth, and Shadrock Arnold, created by pulp fiction writer Verne Chute, one of the three correspondence school detectives in the genre and probably the least known of that trio. EASY TO FIND? I was surprised to discover that this book was reprinted back in 1985 by Carroll & Graf bringing the total of available editions to at least three. Online booksellers offer multiple copies of all three: US & UK hardcover, and the C&G paperback reprint. It's a book that diehard fans of detective fiction definitely ought to read if not own. The breadth of the stories, the unusual characters, and the rarity of some of the lesser known detectives in short story appearances make this anthology a must have for real devotees of the genre. How about a spy tune, gang! Or...uh...well...a spy tune with a mess of detectives in the lyrics. Joey Deluxe is the pseudonymous alter ego for sound and music editor Joey Merholz when he's donning his composer hat. He's only written two original tunes for movie soundtracks which he also performed. "Undercover" appeared for the first time in --of all things-- the otherwise forgettable 1998 remake of Godzilla. Joey's really working his Lou Reed/Leonard Cohen baritone in this pastiche of a 1960s spy theme. I'll forgive him for not knowing the difference between spies and detectives. And for adding a private eye writer's name in the lyrics just for the hell of it. I just like the overall spy vibe and the jazzy melody with that blaring horn section and that mean Hammond organ heard faintly in the musical break. It's probably all digital music made with a Mac and software. But who cares? Sounds like a jazz combo in some dive lounge off the old Vegas strip. I love it! I found a video using this tune and made by someone who seems to be madly in love with Ilya Kuryakin from The Man from U.N.C.L.E. So enjoy these bits from that old TV show featuring David McCallum, several shapely spy gals, some villainous baddies, and -- every now and then -- Robert Vaughn. All in 1960s living color! THE STORY: The apparent suicide of an Irishman with ties to the IRA is investigated by Chief Constable Devenish, Lord Benton, and a country parson. The detective novel plot is used to explore ongoing conflict between Irish loyalists living in England and the hatred they endure from British citizens. THE CHARACTERS: Wild Justice (1930) is narrated by an Anglican minister who is given no name throughout the course of the book. Early on in the book he says "I am no lover of the Irish, who have always struck me as a troublesome race, but I like to be just to them." This is the overarching tenor of the book. The author, an Irishman himself, starts by poking fun at the anti-Irish sentiment that was prevalent in England at the time. The humor is mildly satiric in pointing out the narrow-minded prejudices of the narrator and others, but by the end of the book the author is clearly espousing his critical opinion of the radical Irish, the revolutionaries and terrorists who have sullied the reputation and history of the homeland he is proud of. Chief Constable Devenish, a retired army colonel and the primary detective of the piece, is the embodiment of all that is good about Ireland. He's a war hero, affable, fair-minded, and has an admirable skill in making people feel at ease the moment he meets them. The victim and the man put on trial for murder, who happened to be the victim's dearest friend as well as an IRA member, are depicted as everything that is wrong with the country. In fact, the KC prosecuting the case uses the courtroom as his chance to malign all of Ireland as a land of rebels that celebrates "secret societies" and the men who run them. Despite what may seem to be slathering on condemnation for Ireland and its people, Birmingham does not really resort to simplistic black and white portraits of good and evil. Rather he shows the fraternal love Irishmen have for one another and presents legitimate reasons for understanding why the radical factions have such deep-seated antipathy for English law and English culture. The reader understands the Irish mindset, the stubborn beliefs they cling to, their innate sense of humor that helps them cope with trauma and hardship. And you see bigotry uncovered for what it really is. Servant characters usually allocated to minor supporting roles figure prominently in the first half of the story, especially Bastable the bigoted butler on the Benton estate and George, the beleaguered footman. "Murder or no murder," comes Bastable's reprimand to George, "the rector and Colonel Devenish will be wanting their boots and they're to be cleaned properly before they're brought up." The business of what happened to boots overnight may seem like a minor incident to every other character in the book except George who insists that one pair was not with the rest. He eventually loses his job over the boot incident since no one will believe his story. Knowing how missing boots and the cleaning of them pop up as clues in classic mystery fiction (The Hound of the Baskervilles and Trent's Last Case come to mind) I knew these scenes were not meant to be trivial at all. True enough the boot incident will have repercussions by the end of the novel. INNOVATIONS: There may be an entire subgenre of mainstream novels about the Irish/English conflict. I can think of The Informer by Liam O'Flaherty and Odd Man Out by F.L. Green as two excellent examples. 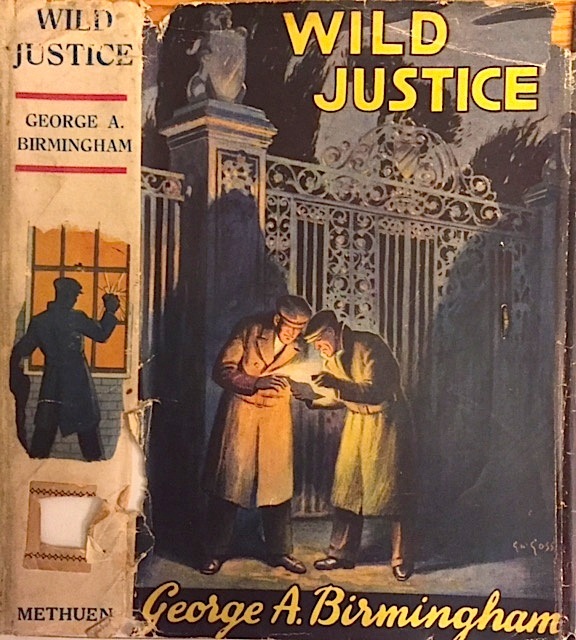 Wild Justice is the only Golden Age detective novel I have encountered where anti-Irish sentiment and the effect of Irish terrorism on innocent citizens plays such a major part in the story. In fact these themes serve as the underlying motive for the crimes revealed in the most unexpected manner in the powerful finale. As far as ingenious use of clues there is a section in which a typewriter with a German keyboard turns up twice and the accidental use of umlauts (ä, ö, ü) is a telltale clue in a letter sent to the accused. Our parson narrator, who has been working on a monograph on medieval Irish monasteries, is called upon to use his knowledge of "old Irish" to authenticate the letter which employs several phrases in Gaelic, or Erse as the British characters call it here. The linguistic bits though not entirely fair play clues are fascinating. But the typewriter clue is perhaps the most damning piece of evidence. The discussion of the German typewriter keyboard comes up three times in the novel and astute readers will be able to use those scenes to unmask the killer long before the rest of the characters figure it out. The closing argument of the defense attorney in the climactic murder trial is a brilliant example of legal rhetoric. He manages to do some clever reasoning and does his best to sway the jury to a verdict of not guilty by playing up reasonable doubt, the crucial phrase that can acquit a man of a crime. QUOTES: On the narrator's inexpert participation at a hunting party: "I missed rather more than usual, and I always miss more than I hit. This does not trouble me, for I have a feeling that a parson ought not to be an expert at killing things, except, of course, fish." "I am not an expert in Irish affairs but I hold strongly that it is a mistake to assume that anything that happens or ever has happened there is reasonable." "I wondered at and greatly admired the way [Devenish] dealt with a fanatic like O'Callaghan. I should just as soon have tried to make a joke to an American Methodist Minister about Prohibition." "He had been foolish enough to slay his man in England, a country in which the old-fashioned prejudice against unauthorized killing still survives." Bastable's bigotry: "...there wasn't much blood, sir. So Mrs. Mudge informed me. Not so much as might be anticipated, considering that the parties concerned were both Irish." Bastable again: "Now, I'm Church, sir, and I've always voted Conservative. But what I say is, that if a man would rather be Chapel [Roman Catholic] and vote Liberal that's his business and no affair of mine. But the Irish is different from us, sir." 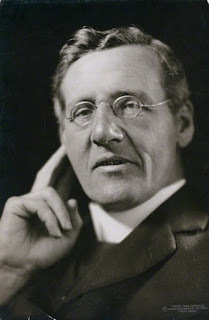 THE AUTHOR: "George A. Birmingham" is the chosen pen name of James Owen Hannay (1865-1950). Hannay was born in Belfast, educated in Ireland and was ordained a Church of Ireland clergyman in 1889. He served at various churches throughout Ireland and was an army chaplain during WW1. In 1922 he joined an ambassadorship to Budapest. After his time in Hungary he settled in England and remained there for the rest of his life. He began writing novels in 1905 focusing on his critical view of Irish politics in his first novel The Seething Pot. Then he turned to comic novels for which he is best known continuing his critical viewpoint in a gentle satirical vein. 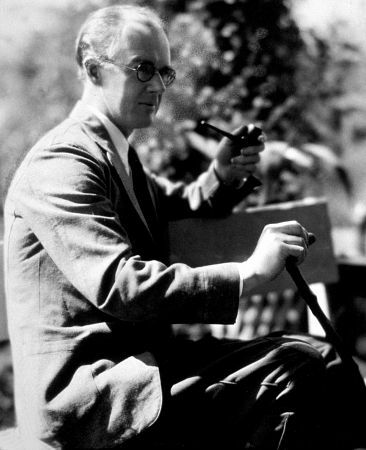 Late in his writing career he wrote a handful of detective and crime novels the most noteworthy being The Hymn Tune Mystery (1930), also with a clergyman narrator, that deals with the murder of an organ player and a clever cryptogram that can only be solved with a knowledge of reading music. THINGS I LEARNED: Stumbled across a very unusual word: peccant - guilty of committing sin. The sentence where this is used: "It was horrible to feel that a fellow human being, however guilty he might be, was being walled in, as they say peccant nuns sometimes were in the dark ages." That's some metaphor! I was caught up in the section on Gaelic grammar and vocabulary. It went on for about ten pages but I never found it boring. Learned all about the placement of vowels, subtleties in Irish grammar that affect connotation and meaning, and that A chara dhilis is the way to write "My dear friend" in a Irish letter salutation. Also that the Gaelic name Diarmuid is pronounced something close to "Jeermood" in English. EASY TO FIND? I found this book through serendipitous browsing at BookMan BookWoman, a used bookstore in Nashville, during a weekend getaway earlier this month. The store was having a sale -- $9.95 for every hardcover mystery book no matter what the price marked inside. How fortuitous! (as some Victorian character might exclaim.) I took every vintage mystery I could find that I didn't already own. Wild Justice was the most unusual and the oldest in the small pile of books I purchased. I already knew of Birmingham from my reading The Hymn Tune Mystery several years ago. To my surprise an internet search turned up 14 more copies of Wild Justice mostly of the various Methuen editions, but none with a complete DJ like mine. My copy is a 1935 reprint. 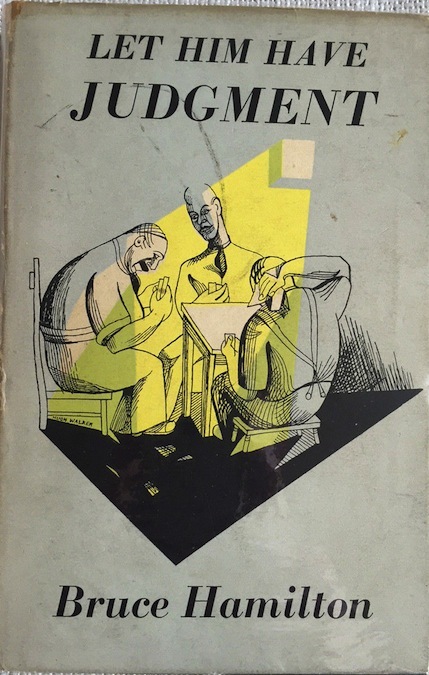 It apparently was selling well -- the 1935 edition is the fifth printing since it's original publication in 1930. There are also US reprints from Jacobsen out there to buy. All but one are reasonably priced ranging from $5 to $15. Such deals for a rather excellent yet utterly forgotten detective novel by an undeservedly forgotten writer. I doubt there are any digital copies, but I didn't bother to look for them. Three men are all attracted to the beautiful but haughty Sylvia Marlowe. Philip Braden, is her intended fiancé, but she wants nothing to do with him. Dr. Mackay, the locum tenens, is slowly taking over the practice of ancient Dr. Mapp and has his eye on Sylvia as well but is guarded about expressing his affection for her. And then there’s the man Sylvia would like to propose to her Tom Brent, a young pastor with a devilish temperament. Needless to say there is a lot of unspoken affection going on in this quasi Jane Austen romance disguised as a detective novel. Enter Grace Winch, former nurse and ex-actress, still clinging to her melodramatic stage talents in her work as a fortune teller for hire. Grace predicts some horrible futures for several guests at a garden party hosted by the imperious Lady Braden, Philip’s aunt. One of the predictions is that Philip will suffer “a double death for [his] end.” Not surprisingly this scares the bejesus out of not only Philip but Sylvia and Tom. Soon we learn that Grace is a malicious woman who has a very mercenary reason for taking advantage of Philip’s fear of a bizarre death, especially one by premature burial. She has been intimately acquainted with him in the past. Her connection to him is fairly easy to guess even before she drops her many unsubtle hints of the scandal it would cause should she tell all. She is also privy to some secrets in Dr. Mackay’s past. You’d think Grace will turn out to be the victim, but no. 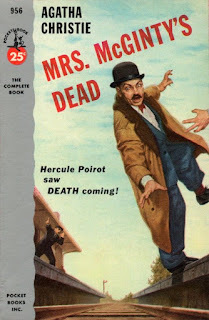 Her prediction for Philip’s double death indeed comes true and serves as the half-hearted detective novel plot that makes up some of the story in Twice Dead (1930) by E. M. Channon. This is a mix of an inverted detective novel and a traditional mystery. The surprises are not at all surprising due to the manner of storytelling which robs all suspense from the book. Channon chooses to have us follow the thoughts and actions of Grace, a wicked woman who resorts to blackmail and extortion with everyone she encounters. Her aim is revenge on a grand scale. She’s oddly the embodiment of a nihilistic worldview in a book that is otherwise extremely conventional in its outlook. Grace cares so little for her own life that she commits suicide in a manner that will make it appear that one of her enemies be suspected of her murder. Another character in the story, Sylvia’s cousin Anne, is just as spiteful in her behavior. She too has been rejected and wronged by Philip. The book is concerned more with soap opera melodrama -- engagements gone wrong, rumors and whispered lies, unrequited love, unspoken love held close to the hearts of the mostly stubborn characters in the book. Channon describes Sylvia as a "brainy woman" but her actions tell us otherwise. She refuses to tell the man she loves how she feels about him relying instead -- as will happen in these Austen-like novels -- on second hand reports of his life and rumors of an intended marriage to another woman. Then Sylvia sits back and sulks and mopes that she will never be happy. She never directly asks Tom for the truth until the end of the book. Shades of Sense and Sensibility, right? Except there’s no elegance or dramatic irony in this book. Meanwhile Tom Brent tries to act as amateur detective of the piece but only solves the mystery of Philip's double death when he stumbles across the not-so-shocking truth through sheer accident. There are two endings with two culprits revealed through monologue confessions. One done in an over-the-top melodramatic sequence clearly inspired by Macbeth and the other an anti-climactic verbal confession done very matter-of-factly and dully. Both villains are allowed to escape punishment and live out their lives as an example of forgiveness and second chances at happiness. I found the whole thing utterly unsatisfying from its ersatz melodrama to its naive worldview about love. Most off-putting is Channon’s preference to explain everyone’s thoughts and actions. 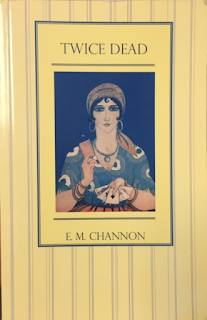 She adopts a “gentle reader” omniscient narrative voice peculiar to early 19th century novels making continual sideline commentary rather than allowing the reader to discover who the characters are through their actions and deeds. This is probably due to Channon’s primary career as a writer of juvenile novels set in girls’ schools. Most of these adult women act like Edwardian "mean girls" and the men are pretty stereotyped, too. There’s not much here to recommend even as a quaint period piece. There are dozens of similar stories better written, better plotted, and much more maturely handled. For a different view of Channon as a mystery writer see Kate Jackson’s review of The Chimney Murder one of the other four crime novels Channon wrote. Both Twice Dead and The Chimney Murder have been reprinted by Greyladies, an indie press responsible for reissuing the work of forgotten women writers in limited paperback editions. The reissues are a mix of children’s books, detective fiction, and romantic novels that seem aimed primarily at a female audience. THINGS I LEARNED: Late in the book Lady Braden exclaims, “This isn’t a Duchess Novelette!” This of course sent me on a ten minute Google search in order to track down the source of that obscure reference. I uncovered one single photograph of an old story newspaper called fittingly Duchess Novelette. 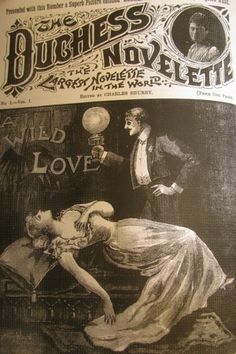 Apparently this was one of many short-lived “penny dreadful” romance pulp magazines published in England during the Victorian and Edwardian eras. While the bulk of the penny dreadfuls were filled with lurid stories of gory, blood-soaked crimes with grotesque characters the romance pulps told stories of cads toying with the affections of women and the dirty deeds they are driven to when they’ve been wronged. The title is taken from a quotation found in Jude 1:12, 13. Again it is Lady Braden, the novel’s resident literary allusionist, who quotes the passage: “[C]louds they are without water, carried about of winds; trees whose fruit withereth, without fruit, twice dead, plucked up by the roots.” She is referring to more than just Philip’s unusual demise. The observations made by Lady Braden and Grace Winch, two women of entirely different make-up and contrasting worldviews, were the only reasons I kept reading the book. An all out tribute to Dashiell Hammett's nameless private eye. Amazing video for this rockin' bluesy tune. Gallagher was an Irish musician who died in 1995. I'd never heard of him until I found this tune. This song comes from his penultimate album Defender released in 1987. When the trouble's gotta stop? THE STORY: Forest Ranger Scott Boldrewood has his hands full. Construction workers are feuding with the California State Engineer overseeing a road being built through the Santa Pia National Forest. Then there are the acts of sabotage from the nature loving "tenderfoot" rebels and the distractions provided by a composer seeking inspiration in the sounds of nature. By the time a body is found hanging from a tree then just as quickly disappears from that tree Boldrewood really has his work cut out for him. THE CHARACTERS: The cast is 99% male with one token woman. 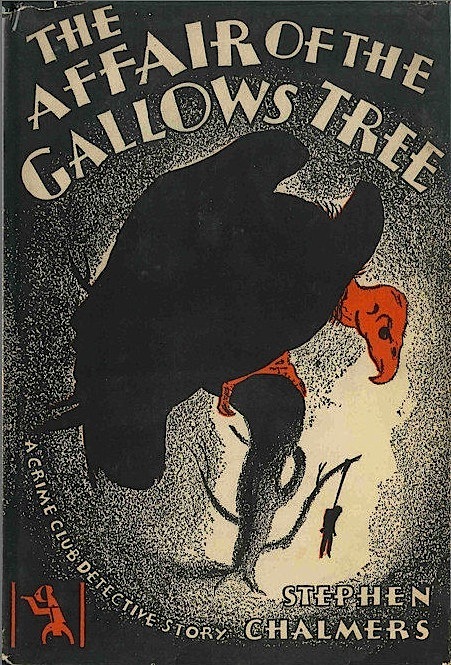 That's because The Affair of the Gallows Tree (1930) deals with road construction, engineering and forestry service. Not at all career paths chosen by women back in the day, gang. Our token female character exists for love interest, of course, and to provide the requisite screams and terror. She's the one who finds the body hanging in the tree and is almost immediately dismissed as a "nervous case" with a wild imagination when the body disappears. Her name is Nova Thorne and the only non-cliche part of her role is her profession. She's the modern music composer. Nova has come to the forest to do research on the pitch and tonal quality of babbling brooks, the sound of the wind, and all of the unusual animal and bird noises she can train her ears on and then convert them into musical tributes to Mother Nature. She gets help in matching the sounds to each particular animal and bird from a Native American guide named Rance and sometimes from deputy ranger. Boldrewood (could he have a more fitting name?) is typical of the hero detectives from a pulp writer like Stephen Chalmers: stalwart, brave, good looking, and loaded with common sense. He's also good at old school detective work that has its roots in hunting and tracking. He's keen on reading animal and human trails, reading the wear on tree bark and other seemingly uncanny talents related to the natural world. His deputy ranger Tommy Kershal is equally good at this kind of detective work when he points out how he knows a forest fire is the work of arsonists and can tell the difference between worn and broken rope and cleanly cut rope. Likewise, the Native American Rance does his part with almost supernatural skill as when he notices disturbances on the pine needle covered forest floor and can follow the trail to a nearby stream. The rest of the cast is a surly, temperamental lot as might be expected of men who do hard labor and are in constant battle with the weather and other natural forces. There's James "Black" Emmett, the head engineer with more trouble than he can deal with; the foul-mouthed, violent Irishman Lonergan, foreman of the construction crew; a rebellious local homesteader named Jape Lord who is suspected of leading a ring of saboteurs who want to put an end to the road being built through their land; and the overly intellectual and officious Vaughn, an engineer who speaks for the state of California and won't listen to reason. 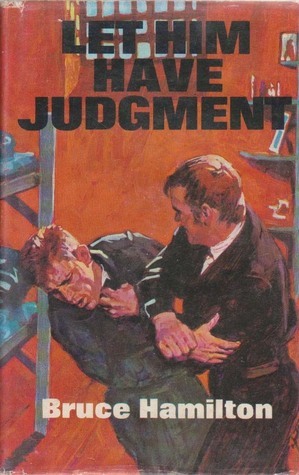 Vaughn gets into several verbal and physical fights, lands a black eye from Lonergan's fist and is purportedly the body found hanging in the tree. But until the body can be found no one really knows who it is. Since Vaughn seemed to vanish Boldrewood and the rest of the men are convinced it's him. He certainly made himself well hated among everyone involved in the construction project. "Is the [condemned] comp'ny so damned mean it makes a howl over a [quite sanguinary] rope? I'll buy another [doubly condemned] rope! Take it outa my [tainted] money!" Other bracketed synonyms used in place of well known epithets are [unsanctified], [ancestral mistake], [moral delinquent], and [pertaining to heredity]. I couldn't stop laughing at these. That is when I finally figured out what the swear word really was. There is one bit of evidence that is intriguingly arcane. What appears to be a coded message turns out to be a pictographic language. Rance tells Boldrewood it's the Cree language. What that message turns out to be I won't reveal. This is one of the more outré bits in a highly engaging, unusually imaginative detective novel. THE AUTHOR: Stephen Chalmers (1880-1935) was born in Dunnon, Scotland and raised in the United States. According to an obituary I found in a 1935 issue of The Chicago Tribune he began writing for American newspapers in 1902. Five years later he began contributing stories to pulp and slick magazines. Primarily a western writer he also wrote prolifically in other genres including romance, adventure, detective fiction and even some science fiction penning over 100 stories in his long career. By 1930 he had turned to writing novels. 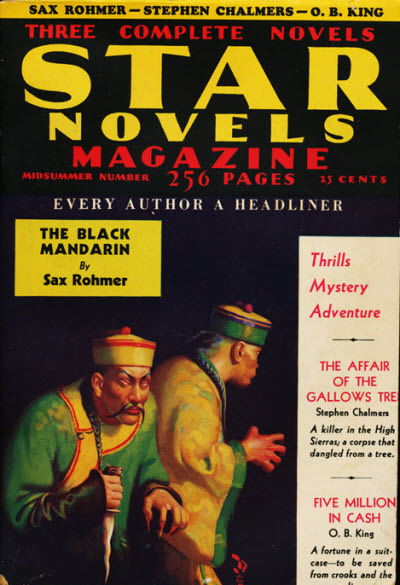 In addition to The Affair of the Gallows Tree he wrote four other detective novels all of them published by the esteemed "Crime Club" imprint of Doubleday Doran between 1930 and 1934. He was writing and publishing his work all the way up until the day he died. Two of his stories have been confirmed as the source for the silent movies Partners of Fate (1921), a romance adventure and Looking for Trouble (1926), a western with mystery elements. THINGS I LEARNED: Timber wolves roamed the hills in great numbers in northern California in 1930. The rangers need to keep an eye out for them. At one point in the story one character imitates the call of a wolf to signal to another person and this frightens the rangers into action. Rance has to calm everyone down by pointing out that the sound is not a real wolf. pulling a lime bottle is an illegal method of catching fish. Fill a bottle with quicklime and seal that bottle with a cork that has a hole bored though it. Then as Jape Lord explains to the rangers: "Yuh drop it in a hole yuh know is lousy wit' big trout an' jes' wait till the lime gets wet enough to explode the [bottle]. Then yuh rakes in the trout ez come floatin' belly-up." I wonder if this is done anymore? A rod and reel are much easier, more relaxing and a lot less messy. hegira - an exodus or migration. This comes from the name given to "Muhammad's departure from Mecca to Medina, prompted by the opposition of the merchants of Mecca and marking the consolidation of the first Muslim community." All that from the Merriam-Webster Dictionary. EASY TO FIND? 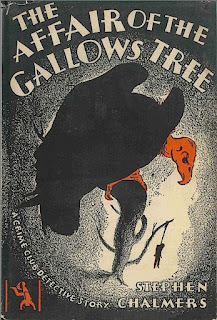 There are both UK and US hardcover editions but no paperback reprints of The Affair of the Gallows Tree. In the US there are two reprint editions -- a hardcover from Grosset & Dunlap and also a slightly abridged version in Star Novels magazine. Copies of the hardcover both Crime club and G&D reprint are out there and tend to be between $3 and $15. You'll pay more for a copy with the scarce and very creepy DJ (BTW, that vulture and four others play a major role in helping Boldrewood find the missing body). No digital version exists that I could find. * * * This is one of three books I read for the "Crime of the Century" monthly reading challenge which invites bloggers to read and write about crime fiction published in a specific year. The year for September is 1930. Happy Birthday, Dame Agatha! A writer never looked better. I’m talking about her books, gang. No amount of plastic surgery would make a human of 126 years old look good. At the suggestion of Kate Jackson, who helms the Crossexamining Crime blog, a gaggle of mystery fiction bloggers have joined together to celebrate Agatha Christie’s birthday with their personal choices for favorite books. As Kate put it to us in her invitation the post is to be "called Christie Firsts which suggests to new Christie readers which novels are the best introduction [to her various detective characters] Christie's thrillers and Christie's stand alone novels." And because I always get carried away with these invitations to write about my favorite books I’m adding three other categories to those she gave us: best play, best short story collection and best Colonel Race novel. “I am Hercule Poirot!" "What a lovely name. Greek, isn't it?" I should probably pick something from her early years like Peril at End House (1932), Death on the Nile (1937) or Evil Under the Sun (1941) but I happen to love Mrs. McGinty’s Dead (1952) more than any other Poirot novel. I can’t help it. It’s one of her funniest books and it has a devilishly clever trick in the plot. It’s pure detective novel fancy chockful of deep, dark secrets waiting to be unearthed. And watching Poirot suffer in silence at Maureen Summerhayes’ guest house -- from her inept cooking to her overly zealous hospitality -- is alone worth the price of admission. 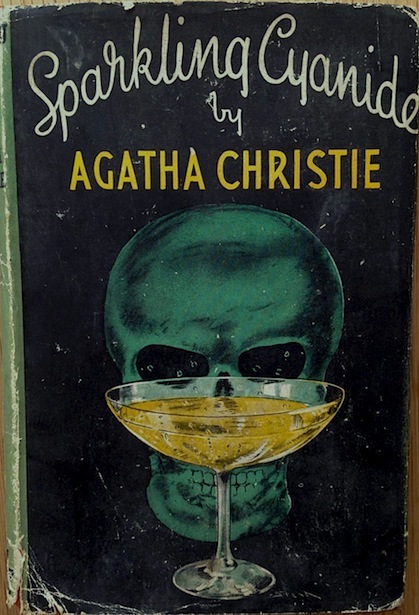 Ariadne Oliver, Dame Agatha’s alter ego, is also present and we get a lot of talk about the dreary life of a detective novelist and her disgust with her own creation which is easily seen as Christie’s own expression of her own exasperation with Poirot. I prefer the later Marple books again over the earlier ones. A Murder Is Announced is pure Christie. It’s almost the template for her midpoint career books. That it has much in common plot-wise with Mrs. McGinty’s Dead is no coincidence. I’m drawn to the books from our Grand Dame’s oeuvre that deal with criminals in hiding and people trying to escape their shameful past. Brilliant use of misdirection in this book and a nifty surprise reveal. I can’t overlook that the Beresford's debut The Secret Adversary (1922) was a less than stellar performance. But their sophomore effort is such an original twist and simultaneously a tribute to the then very trendy notion of being a detective fiction fan. So I pick Partners in Crime (1929) as both a lesson in early overlooked fictional detectives and for Dame Agatha’s send-up of many writers who she obviously enjoyed reading. 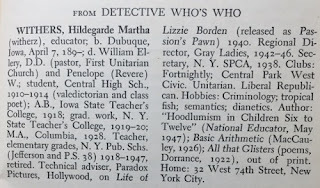 That she thought she could improve on many of those still unknown and forgotten characters (Thornley Colton, the blind sleuth and McCarty & Riordan, Isabel Ostrander’s beat cop and fireman detective team, to give a handful of examples) showed even at an early age she was a risk taking mystery writer. For high drama, a good puzzle, some trademark Christie clever misdirection and trenchant observations about a marriage headed for ruin I pick Towards Zero (1944) as the best of the Battle books. This was the midpoint in her career and it’s the era (1942-1955) when Christie began to delve deep and created some of her most human and complex characters. Sparkling Cyanide (1945) [US title: Remembered Death] may be a reworking of a Poirot short story but as a novel I enjoyed it a lot. Also I had read this novel first before the short story so the ingenious ploy that leads to murder went unnoticed. One of the best plotting gimmicks in her entire output. Subtle, clever, and completely believable. This is my second choice for favorite in order to avoid duplicating the one I know will pop up over and over -- And Then There Were None (1939). It’s a true mystery classic, her masterwork I’d say, and it’s deserving of all the accolades. But once again I turn to her later career. Like Dame Agatha I will forever be fascinated with the occult, black magic, and superstition and how those beliefs affect human behavior. For that reason I choose The Pale Horse (1961) as the best of her stand alones. To be honest I don’t care for many of her thrillers at all. The early ones all seemed to have been pale imitations of her fellow crime writers who were doing it much better in the late 1920s. The heroes and heroines seem interchangeable in most of them and the plots are overloaded with what Carolyn Wells loved to call “hackneyed devices.” Her three globe-trotting thrillers of the 1950s are dull to me. But if I have to pick one out of the small bunch then I’ll go with The Man in the Brown Suit (1924). It works well as both a mystery and a thriller and it’s the most entertaining of the lot – hackneyed devices notwithstanding. No Bundle Brent in sight, thankfully. (Sorry, I don’t like her.) It also incorporates a trick that would become her infamous hallmark and used at least three other times that I can recall. I think her most original character is Harley Quin, the mysterious man from nowhere who appears as a detective guide to help Mr. Satterthwaite solve crimes and restore order to troubled lives. 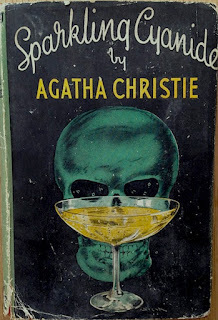 Many of the tales are tinged with supernatural events so no surprise that I count it among my favorite Christie books. 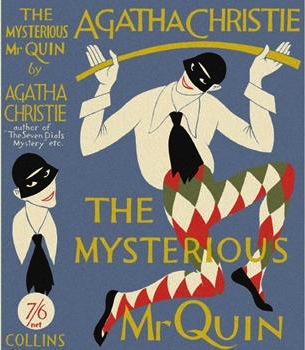 The Mysterious Mr. Quin (1930) is one of her most refreshing short story collections covering all aspects of crime fiction from straight detection to action thriller. There is ample romance as well. Quin enjoys bringing about reconciliation among the young lovers in each story. He seems to be a precursor to her later Parker Pyne, perhaps mysterydom’s first “love detective”. Though Christie wrote many original mystery dramas directly for the stage none of those are worthy of her. The Unexpected Guest? Really rather dreary and I’m afraid to say utterly obvious from the moment the curtain goes up. Black Coffee? Trite. Three Blind Mice was written for radio before it was adapted into a short story and later the stage play The Mousetrap and it will always work best on radio, I think. Too often the strangling murder is ineptly staged and badly lit so that the murderer’s identity is obvious to the audience. What does that leave us? The stage adaptations of her novels or short stories. For my money the best of her stage plays is hands down Witness for the Prosecution (1953). There’s something about the courtroom and the stage that go hand in hand. Both have so much in common. Murder trials are part showmanship, part legal procedure and lend themselves easily to the stage. So many dramas about courtroom trials make for riveting theater (Inherit the Wind, Twelve Angry Men, Execution of Justice) and Christie’s adaptation of her short story is no exception. Ah, the disco era! Platforms shoes, bell bottom pants, pooka shell necklaces, the "Dry Look", feathered hair, sequins and mirror balls. And all that wild and crazy music. Remember Tavares? Well, frankly neither do I. But this is another fun tune. I can't imagine this filled up the dance floor if it ever was played in the discos of days gone by, but I'd be among those laughing and smiling had I heard it. This may be the prizewinner for a pop tune mentioning fictional detectives and not only from books. Toward the end there is a long list of TV show detectives: Baretta, McCloud, Kojak, and Ironside. And just before the fade out you'll hear: "Tell Dirty Harry we're supposed to get married." Help me find those two, won't you? THE STORY: Robert Teal has been very busy in London. He's been digging around courtroom archives, reading newspapers, spending the day listening to how a certain judge talks to a jury. Then he up and leaves and heads off to the village of Moxton where he becomes interested in a local ne'er-do-well named John Willoughby. Suddenly Teal disappears and so does Willoughby. A body turns up and it looks like a very nasty murder. But who is it? And who exactly is Teal? Or Willoughby for that matter? INNOVATIONS: The book has a brilliant construction that could only be accepted by someone who admires crime fiction plotting. There is a Prologue which is sort of a mini tale in itself, but lays the groundwork for Hamilton's purpose in writing the book. Let Him Have Judgment (1948) is clearly meant to serve as an indictment against the vagaries of the law and how criminal justice is often left in the hands of those who seek retribution. The reader learns of the fate of Harry Gosling who apparently was wrongly sentenced for a murder he never committed. On the eve of his execution he pleads with the reverend who is sent to his cell to give him solace. The two conspire to break basic rules about written communication posted from the prison. Harry writes a letter and has the minister vow that he will take the letter, not read it, and conceal it another letter written by the reverend himself. Then the reverend is to send both letters to an address in America. The prologue fades out on Harry as he is led to the gallows. The story then veers off in a completely new direction with the entrance of Teal. The story focuses on his mysterious visits to the courts and other detective work, his vanishing and the discovery of the corpse. All of this leads to the arrest of a judge and a murder trial. The bulk of the tale shows us various aspects of a murder investigation and how it is exploited by the press, by members of the inquest jury, by the lawyers presenting their cases, and even by members of the trial jury. It's all an ingenious concept showing how the legal system is vulnerable to master manipulators and subtle powers of suggestion. 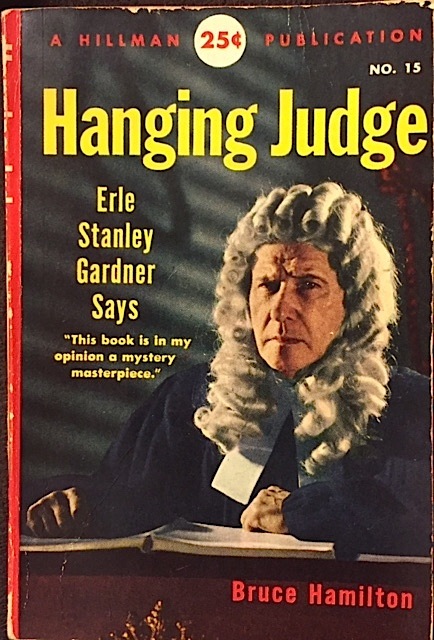 The US title of this book is Hanging Judge and we learn that Judge Brittain is far from an admirable man of law who has allowed his cruel pleasures and indulgent lifestyle to corrupt him and the way he views the law. As the murder trial progresses it becomes clear that the Judge has some secrets he wants to kept hidden and yet he manages to admit to them while remaining ostensibly untouchable and unsullied. But Hamilton allows us to follow the thoughts of one jury member whose perceptions of the case are thoroughly prejudiced. His offhand comments made to other jury members when court is out of session will change the way all of the judge's testimony is heard and viewed. The real ingenuity of the story comes in the triple twist of the Epilogue when all the mysteries of identity, wrongful accusations, and seemingly unjust verdicts are all explained. On my paperback copy there is a laudatory blurb from Erle Stanley Gardner who says, "This book is in my opinion a mystery masterpiece." Very true. I'd go so far to call this novel a tour de force of a legal mystery as well as a caustic depiction of the fragility of a legal system all too susceptible to manipulation. THE AUTHOR: Arthur Douglas Bruce Hamilton was the older brother of novelist and playwright Patrick Hamilton best known for Angel Street, Rope and Hangover Square all of which became crime classics in their movie adaptations. Bruce Hamilton's crime novels take after his brother's in that both are more about the psychology of the criminal mind rather than following the formulae of traditional detective fiction. Both writers tend to indulge in the bleaker aspects of humanity with books that have noirish endings. Bruce's novels, so little known and celebrated, may not match his brother's flair for writing but can often surpass --as in this case-- the younger Hamilton's more conventional approach to exploring crime. EASY TO FIND? The book is out there in both US and UK editions, but it is the US edition that oddly is in relative abundance with twenty copies for sale. 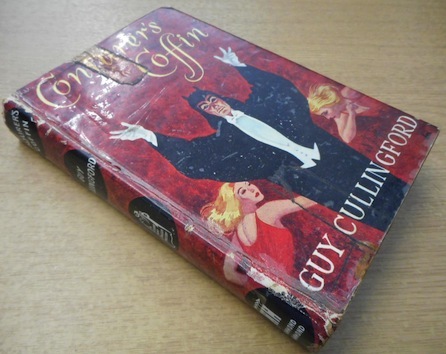 The UK edition was reprinted at least three times that I can verify and yet I find only four copies for sale online. As always you ought to check libraries when copies for sale are this scarce. "I love her but she loves Agatha Christie." She sure does, me lad. What a great song! A girl obsessed with Agatha Christie's work and the narrator of the tune is head over heels in love with her. He can't even make her a meal without her suspecting that he's added a special ingredient. Poor guy. Allusions include Peter Falk as Columbo, Miss Scarlet from the Clue® board game, and anything having to do with the works of Agatha Christie and the entire genre of traditional English detective novel. I'd never heard of The Lucksmiths, an Australian indie rock group based in Melbourne, until I uncovered this song. I'm sure their other music is just as witty and fun. THE STORY: Jess Milk is the newly hired front desk clerk at Hotel Bellevue which caters to second rate entertainers touring the music halls of England. Queen Elizabeth II's coronation is fast approaching and the hotel owner Madame Lefevre is eagerly looking forward to the tourist trade and their money. Then Lulu, Madame's spoiled Pomeranian, escapes. Miss Milk feels largely responsible and she is determined to locate the missing dog. Disappearances are not just confined to pets. A magician's lovely assistant also vanishes from the hotel and suddenly the talk of the impending coronation turns to whispered conversations about jealous wives, philandering husbands and murder. THE CHARACTERS: Miss Milk first comes off as too prim and proper, a bit too honest and I wasn't sure I would warm up to her. This characterization, however, is all part of Cullingford's design. As the story slowly progresses and the plot begins to take shape Jess does indeed become a likeable woman, albeit a victim of her own goodness and integrity. She is sharply contrasted with the Lefevre family who run the hotel and the assortment of eccentrics and shifty entertainers who make up the hotel residents all of whom seem to be exploiting Miss Milk's honesty and innate kindness. This is also a very funny book, but it's that quiet wry British style of humor. An acquired taste for some. Miss Milk is befriended by elderly Miss Watkins and they make a date to visit the Chinese restaurant down the street from the Hotel Bellevue, a treat for both of them who have never eaten Chinese food. The sequence really has nothing to do with the plot but it's hysterical all the same, perhaps somewhat spoiled by the usual patronizing humor aimed at ingratiating Chinese waiters who speak pidgin English. Cullingford also uses the book to satirize the British obsession with the Royals in the depiction of Coronation mania. Self-absorbed writer Mr. Crabbe who is having difficulty finding a marketable subject matter for his next book finally settles on a sea adventure and his amusing dilemma over creating a title leads to his musing about the Shakespeare quote "There is a tide in the affairs of men which taken at the flood leads on to fortune." He thinks There Is a Tide ought to be good then considers shortening it to simply Tide until Miss Milk reminds him "That's a soapless powder for washing things." Crabbe counters with "What about Taken at the Flood?" but Miss Milk spoils that one, too. She says, "You can't have that one either. It's an Agatha Christie." "Drat you girl," Mr Crabbe fires back. "You're an artist's nightmare!" INNOVATIONS: I liked that Miss Milk's dear friend Captain Homes talks about the art of misdirection that is a magician's stock in trade early in the book and how that will color the entire story. 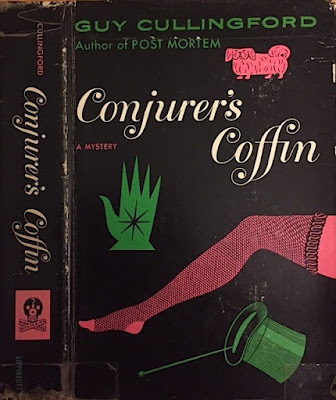 The hotel itself is both literally and figuratively the Conjurer's Coffin (1954) with an unusually shaped corridor that resembles a traditional casket shape and rooms that seem to swallow up women who vanish without a trace. By the midpoint of the novel a clear criminal plot has been revealed and by the end that plot is complicated by an unexpected additional conspiracy to cover up all the crimes. It's almost as if everyone in the story is guilty of something which makes this book something of a crime fiction tour de force. 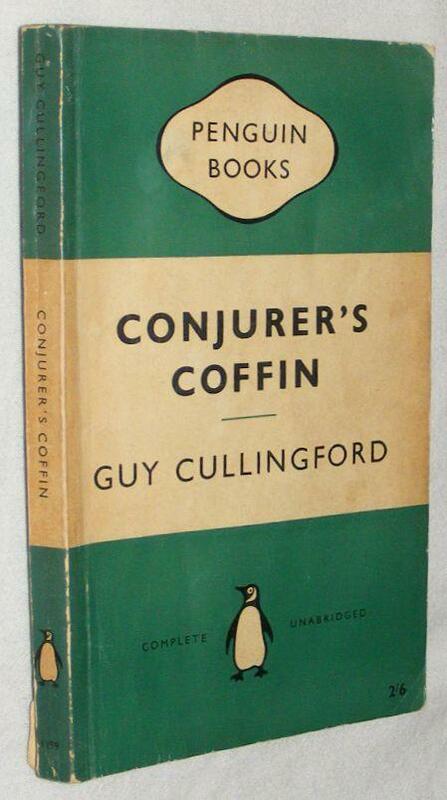 Certainly, Cullingford is turning the genre on its head and breaking a few rules. QUOTES: Crabbe about his ongoing writer's block: "I'm so whacked for ideas that I reckon I shall have to do Coronation festivities in the village. Do you think the public will stand for that?" Miss Milk: "I should think that people will be so fed up with the Coronation by the time it's over that they won't want to hear another word about it as long as they live." "They don't turn mattresses in places like this," explained the sergeant sourly. "Not if it's up to one of those hussies I saw slouching round the corridors this morning. Never turned a mattress in her life." What the [policewoman] had to tell him had struck him as an outlandish story, though no queerer than some which had come his way before. He had long realized that truth is stranger than fiction, nature more fantastic than art, and he thought the imaginations of detective-story writers impoverished indeed. But the last days before [the Coronation] which had been part of the fabric of English life for at least half a year, which had been thrust before the eyes of the people by Press and television, which had been dinned into their ears by the BBC, and been pushed into their hands by manufacturers in the shape of pots, trays, waste-paper baskets and whatever article would take an impress of it, until they were delirious, bored or exasperated, according to their temperaments: these days hurried by in a frenzy of last minute arrangements. 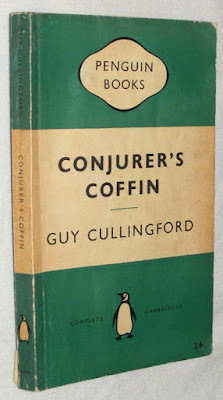 THE AUTHOR: Guy Cullingford is the male pseudonym created by Constance Lindsey Taylor when she decided to write crime fiction full time. 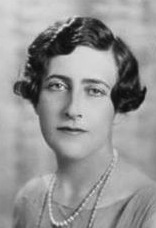 Her first detective novel, Murder with Relish, is modeled on the traditional country house murder mystery and was published under her own name. However, the book was lost in the sea of similar stories perhaps in large part due to the nostalgic flavor of the action being set in "the concluding years of King George V" though it was published in 1948. Her first novel using her new male alter ego -- Post Mortem (reviewed on this blog here) -- was a minor sensation, gaining rave reviews from both sides of the Atlantic, and got her the recognition she was longing for. Taylor wrote a total of nine novels and several short stories many of which appeared in EQMM well into the early 1970s. She also wrote original scripts for British television. EASY TO FIND? The Penguin paperback seems to be fairly easy to find for all you who live on the other side of the Atlantic. I guess it's fairly affordable for US readers -- if you're willing to pay up to $26 to some greedy bookseller to ship you a lightweight paperback overseas. But the US or UK hardback editions are unfortunately next to impossible to find for sale these days. I bought my US edition with the apparently very scare DJ for something like $7.50 about five years ago when I first became interested in Taylor's books under her Cullingford guise. Some enterprising reprint publisher ought to reissue all of her books. I think they're something very special among crime novels of the mid twentieth century. But of course you'd have to be drawn to intelligent literate writing, imaginative characters, and subtle twists in crime fiction conventions. She was decades ahead of the game, in my opinion.